All of Arnim Zola’s powers are derived from his equipment. Zola is also a genius in Biochemistry and android creation. Technopathy: Arnim Zola possesses the ability to mentally control his various genetic creations by means of the ESP Box mounted atop his torso and surgically attached to his central nervous system. Although most of the creatures possess limited intelligence and the capacity for creative thought, Zola can override their mental processes if he so desires. The ESP Box is a retractable device that can convert brain waves into electronic signals for transmission as telepathic commands within ordinary radio range. Normally, Zola is capable of controlling only his own organic creations, but if he remains linked to his support equipment, he can stimulate his own mental power to such a degree that he can create a psychokinetic network able to animate inorganic matter within radio range. Zola is unable to control natural organic life. The ESP Box also provides Zola with the following powers: Mind Control, Mind Ray and Mind Transfer. 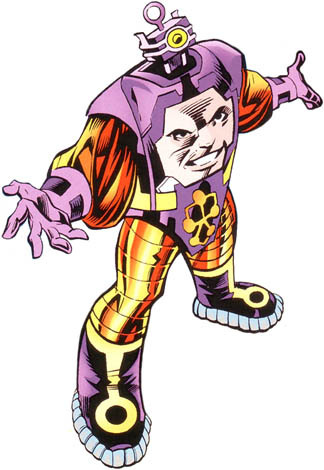 Bio-Servants: Arnim Zola has android servants that he can control.